Get a head start in 2019 with new video content for your internet traffic through Managed Benefits Services with their new Encinitas, CA location. Encinitas, CA, January 03, 2019 --(PR.com)-- mbsinsuranceleads.com/insurance-brand-video -- With Managed Benefits' proven track record, learn how to create a variety of quality lead traffic and internet branded video content; specific for health, life and dental insurance verticals. This is a niche traffic model for those in the space that need more traffic sent to their site or direct to your agent. Who is Managed Benefits Services? Krishen Iyer is the founder of Managed Benefits Services, which was a Fresno-based company primarily specializing in the verticals of health insurance and dental insurance marketing and leads and consulting. It is now also based in Southern California - Encinitas, CA. and Carlsbad, CA. 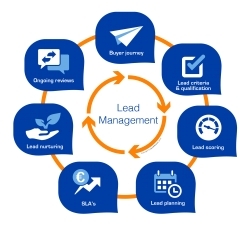 (mbsinsuranceleads.com) and still focusing on lead management and consulting. Iyer, a graduate of San Diego State University, is known for his entrepreneurial acumen as well as his extensive experience and expertise in technical development, digital marketing, and client relations. Krishen Iyer can also be contacted at the same number 559-213-3372.